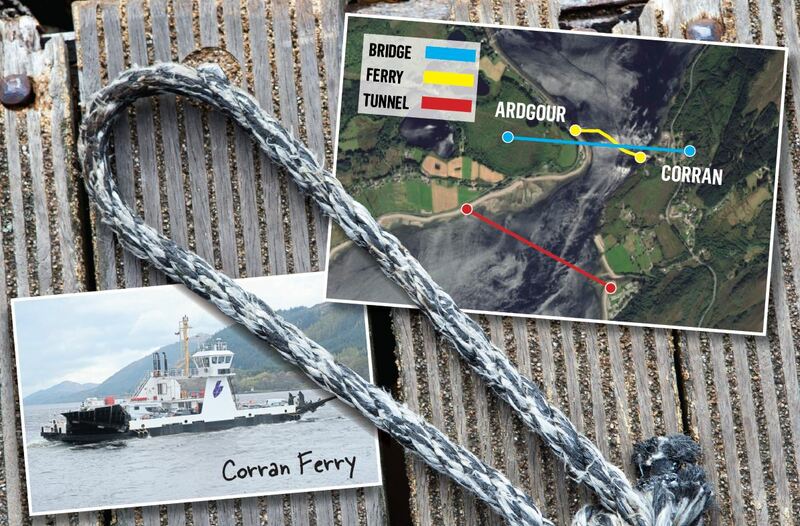 The Corran Ferry, which plies the short crossing, transports more than half-a-million passengers every year. But it may be connected to the mainland within two decades – if a newly-launched transport appraisal recommends a fixed link rather than replacing the ferry on the route. Partners including Hitrans, Highland Council and Highlands and Islands Enterprise – see the Stag appraisal as the key aspiration for the Highlands over the next two decades. Plans for the proposed tunnel or bridge. “Even if the money was there today, we would not be able to get a fixed link for 10 years – so this is the best way to move forward.